Patna: The inimitable voice that once said ‘khamosh’ to all opponents of the BJP is now up against the saffron party itself. The electoral battle has taken an interesting twist in Patna Sahib Lok Sabha seat, where two political heavyweights — Shatrughan Sinha and Ravi Shankar Prasad — who once worked for the same party, will now take on each other as arch-rivals. 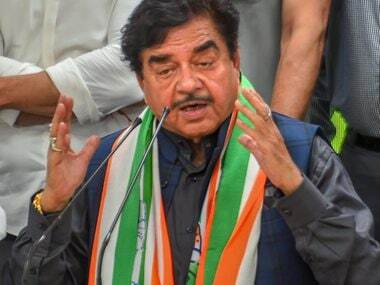 The seat has been the BJP’s stronghold since it came into being in 2009 after delimitation, but now, the party faces a tough challenge from popular Bollywood actor and sitting parliamentarian Shatrughan Sinha, who will contest this time as a grand alliance-backed Congress candidate. Sinha, who had served the BJP for close to three decades, has been winning the seat for the past two terms. 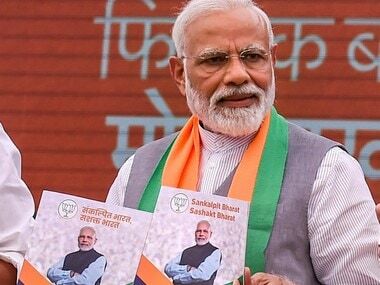 Till the previous Lok Sabha election, the BJP had used him as its trump card, employing him both as a candidate as well as the party’s star campaigner, owing to his huge fan following across caste and religious lines. In the last Lok Sabha polls, Sinha had won the election by a huge margin of over 2.65 lakh votes, defeating Congress candidate Kunal Singh, also a Bhojpuri film actor. 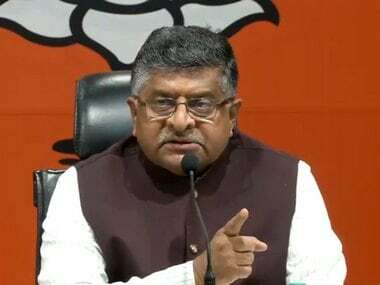 Although Union law minister Prasad hails from Patna, political observers doubt his credentials, because he has never contested elections in the past, and has no mass support base. The Patna Sahib seat is dominated by about 4 lakh upper caste Kayastha voters, and both the candidates come from this caste. The more these votes are split, the less will be Prasad’s chances of winning, say political experts. “Sinha is comparatively more popular than the BJP candidate, has been touring his constituency, has experience to face voters and more importantly, he will get the sympathy votes for being denied a ticket despite having been associated with the party since its early days,” feels social scientist Sachindra Narayan, a former professor with Patna-based AN Sinha Institute of Social Studies. Sinha’s political future now depends on the support of the Yadavs, Muslims, Dalits, Kushwahas, and the community of boatmen, apart from people from his caste who see him as their role model. The BJP candidate, on the other hand, has nothing to cheer about. He banks on the support of the upper castes, Kurmis and Dalits, but votes from his own caste may be split. Battling hard to win the support of the masses, he is now focusing on “development” issues. “Development has been reduced to a mere poll slogan now. I don’t think it will work,” opines Narayan. The prestige attached to this seat is underlined from the fact that the BJP-led NDA held a joint rally in Patna last month, in which Prime Minister Narendra Modi and Bihar chief minister Nitish Kumar shared the dais. Although the idea was to charge up the voters ahead of the Lok Sabha elections, the relatively thin crowd at the rally has hugely worried the top leadership. The NDA had hired 17 trains, 8,000 buses and about 15,000 cars to fetch people to the rally venue from all parts of the state. That is not the lone worry. Prasad also faces a revolt from his party colleague and Rajya Sabha member RK Sinha, who was eyeing this seat. The rivalry between the two parliamentarians has turned so bitter that the BJP nominee was greeted with black flags and angry protests by the supporters of Sinha at the Patna airport on 26 March. This had led to a pitched battle, in which Sinha's supporters were severely beaten up the rival group. The All India Kayastha community had expressed its solidarity with RK Sinha after the incident. Prasad is accused of being a “rank outsider” and of having devoted more time to Delhi politics, but he denies the charge. “Patna is my city. I was born there, studied there, became a lawyer. Even though I have been working at the national level, I have a deep bond with the city,” asserted the BJP leader. On the other hand, the only controversy that Shatrughan Sinha has been involved in is his relationship with Narendra Modi. He has taken several potshots at the prime minister, but his clout can be gauged from the fact that the party leadership did not dare to act against him for his indiscipline, while it was quick to act against Kirti Jha Azad, another BJP rebel who has now joined the Congress. 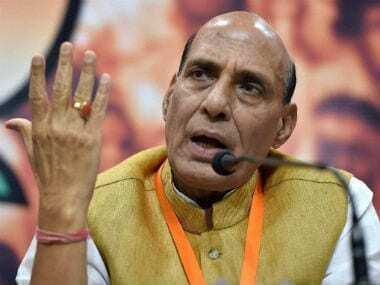 He said the BJP leadership should have taken note of issues raised by Sinha in public, given the fact that he was one of the oldest members of the party. Sinha had made a formal entry into the BJP way back in 1992 when he contested against his Bollywood friend and Congress candidate Rajesh Khanna in the bypolls to New Delhi Lok Sabha seat in 1992. After losing by more than 25,000 votes, Sinha had later said that the “biggest regret in his life” was to contest elections against his friend Khanna. He could never rebuild the friendship with him. Sinha had rebelled against the BJP apparently after he was not inducted into Modi’s Cabinet. He had questioned the inclusion of a “TV actress and wakil babu (Mr Lawyer)” in the Cabinet without any prior experience, in an oblique reference to Smriti Irani and Arun Jaitley. It would be a miracle if the BJP is able to wrest the seat from Sinha.